So much has been written about this cute little device already that I don’t think it adds anything If I described its technical reason d’etre at length here again. Instead I’ll quote the basic information from the manufacturer and then move on to my listening impressions. Although the USB REGEN does not eliminate all sound quality differences between USB cables in a high-end system, it significantly reduces those differences. John Swenson has written about how the PHY chips and processors at the input of every USB DAC (even those with galvanic isolation) are sensitive to “packet noise modulation” and ground-plane noise—caused by poor signal integrity and impedance mis-matching. Every USB audio source (computer or streamer) and cable causes this, every DAC is affected by this—and the REGEN is the cure. The USB REGEN’s secondary function is that it disconnects the computer’s noisy 5 volt bus power coming down the USB cable, and provides clean 5VBUS on its output—for DACs that need it—via a second ultra low-noise regulator. 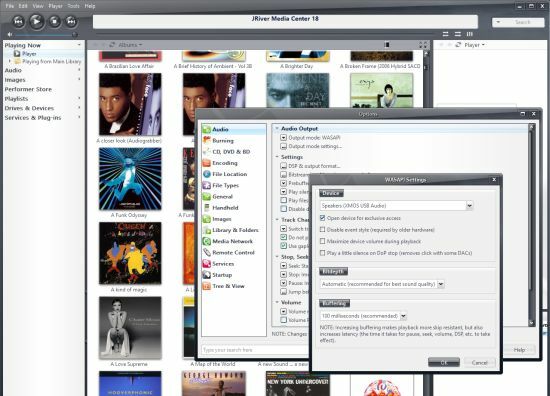 My main PC is a general purpose computer with A grade components running Windows 10 (on Samsung 850 EVO SSD) and using jRIver Media Center 18.0.212 with Wasapi in exclusive mode as the music player. Even though I’m am aware of the benefits, this PC does not yet contain a specialised USB card so the normal motherboard USB output is used. 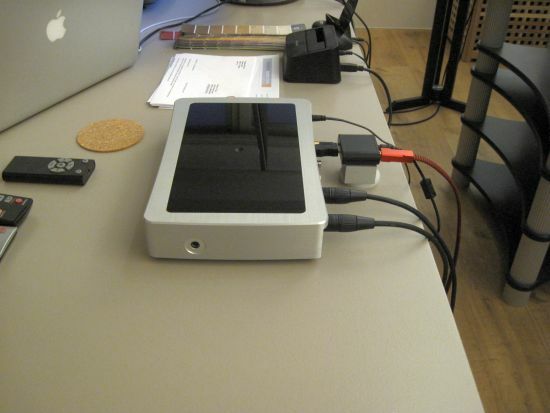 The DAC is an Exogal Comet, connected with a KingRex uArt S USB cable. Speakers are Genelec 8050s. 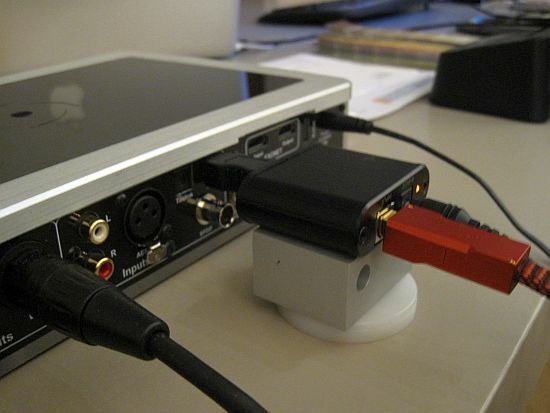 Adding the USB Regen is as easy as unplugging the USB cable on the DAC end and inserting the unit. 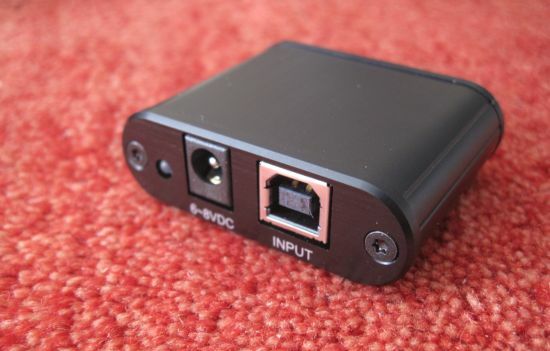 Connection from the USB Regen unit to the DAC can be made using a short, hard connector or a short flexible cable, both supplied in the package. There are no settings to be made whatsoever so the device is truly plug and play. 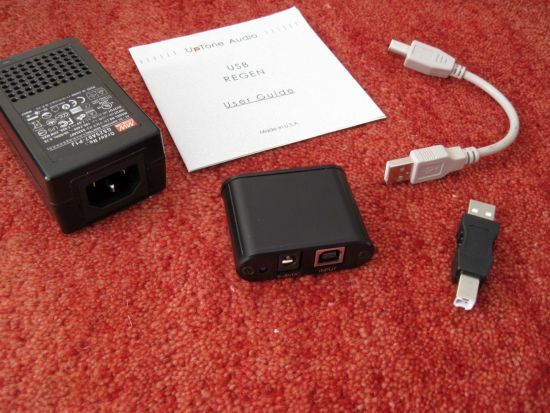 The device does require external power and the switch mode adapter for this is also supplied. Knowing what a high end USB card does for the sound I was expecting a tighter, more articulate presentation, perhaps even slightly on the technical side. The opposite turned out to be the case. With the USB Regen in place the soundstage size is unchanged but the individual instruments in it are more suspended freely and the music feels more free-flowing. As a whole the sound is less direct coupled, more fluid and dreamier. Although the level of detail retrieval is unchanged, the impression is of a less forced (or forceful) sound with less apparent articulation and a slightly woolly bass. Is this because distortion is removed/avoided or is it a detractive effect? I can’t answer that, but in this situation at least the result is a less “immediate” sound that is very smooth but can at times be less exciting. However, going back to the non-USB Regen situation I also have to get used to the sound again, which is now quite dry and matter of fact in comparison. The USB Regen unit’s length combined with the cable’s weight does mean that there is a bit of pull on the USB connector. Although the unit stayed in place quite well without it, I opted to support it from underneath. My Macbook is a 17 inch mid 2009 2,8GHz Core 2 Duo model, recently revived with a Samsung 750 EVO SSD drive and a fresh El Capitan (OSX 10.11) install using iTunes with default settings. The rest of the setup is the same, except for the USB cable which in this case is a standard model. I did make sure that the output was in native 44/16 in the midi settings. 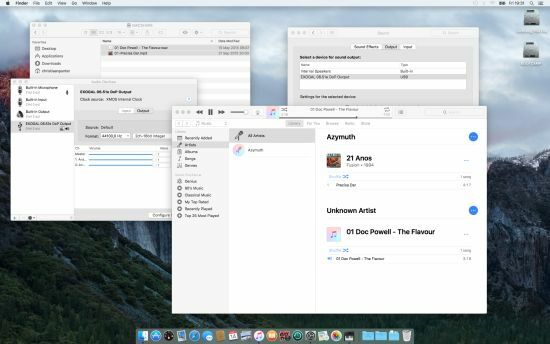 Without the USB Regen the Mac sounds markedly different from the Windows PC, and this difference remains after adding the USB Regen. The Macbook has always sounded thinner and more agile than the Windows PC, with a less solid bass and a less full tonality. This could be the result of less smearing, but depending on the rest of the setup need not necessarily produce a more musical result. 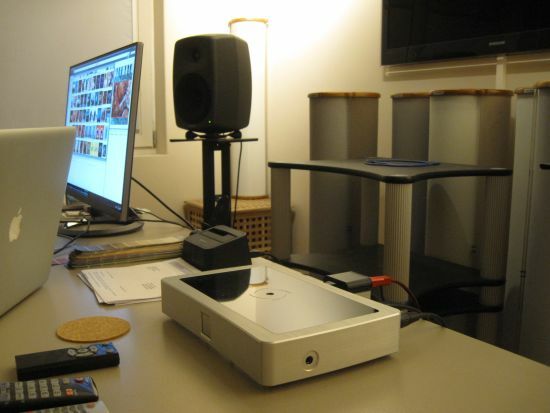 In this setup however the different perspective of the Mac is found to be every bit as musical as the PC sound, which has not been the case in the past. Now I find the Mac’s upbeat and articulate, rhythmic sound to be very nice. 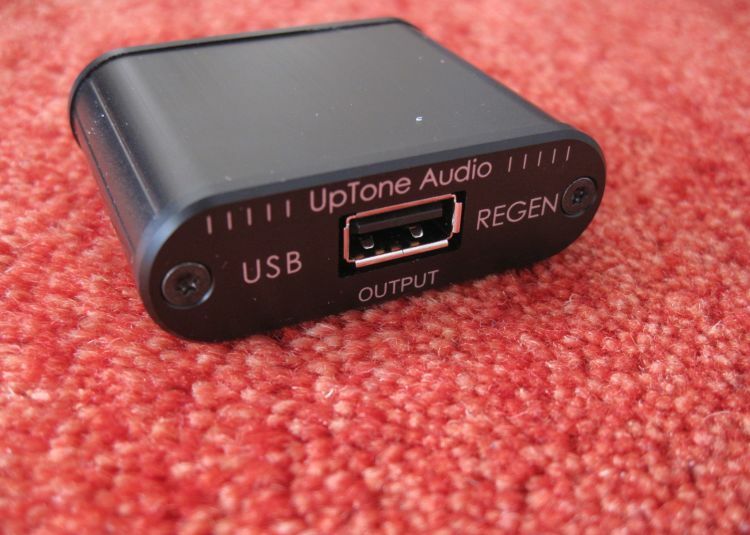 Adding the USB Regen has a similar influence as with the Windows PC: a softer, smoother and looser sound. But in this combination I find that the sum of parts was less enticing, the Mac’s light-footed cleanness and the USB Regen’s softer transients combining into a somewhat bleak sound that doesn’t really grab me. I repeated the test in a friend’s setup with an AudioAanZee Ultra Flow Music Server containing an audiophile SOtM USB card, playing into a Jeff Rowland Aeris DAC, Jeff Rowland Concentra II preamp and Martin Logan Spire electrostatic speakers and here the results fell somewhere between the PC and the Mac: definitely less edgy but perhaps just too friendly. I’m not really sure what to make of my findings. Reading the other reviews of the product the results always seem to be excellent. With the Windows PC the results were indeed quite good, the USB Regen making for a gentler, dreamier sound that could be considered to be less “digital”, but with the Macbook as well as in a friend’s system the result was a sound that was too soft and friendly to be engaging. Perhaps the result is influenced on the one hand by the decidedly non-edgy sound of the Exogal Comet and on the other hand by the inherently smooth character of my friend’s setup, both providing an already friendly environment in which the USB Regen simply does not combine well? In spite of all the interesting theory behind this product, ultimately any component must match the system in which it is placed. As such, you should just try it out for yourself. As they say YMMV. 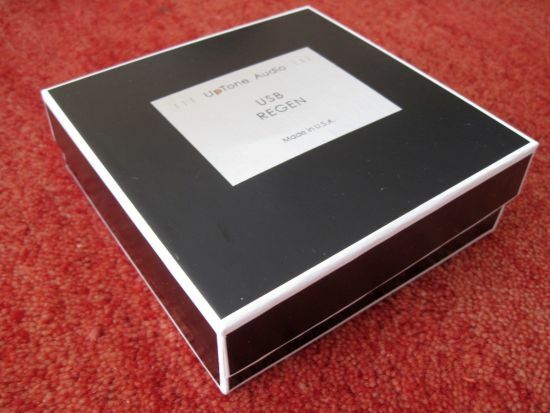 In any event there is no doubt that the USB Regen has a significant effect. Christiaan, it sounds like your findings were similar to mine with an iPad and Dragonfly Red. Things got ‘cleaner’ but less involving. It has been suggested to me that a decent power supply can make all the difference. I intend to at least use it on a USB bluray drive for ripping.